Shaun of the Dead actor may be Templar. The guy who was almost Paul McCartney, got turned into a zombie, and was shot in the unmentionables with a paintball gun wielded by Simon Pegg, is one of the voices in the upcoming Assassin's Creed game. Still don't know who he is? He's done voice for Darth Chef and Darth Maul - there, should be obvious now, it's Peter Serafinowicz, he of Spaced and Shaun of the Dead. No word yet on who he plays, but he is a Brit, and it's Assassin's Creed, so odds are you'll get to stab him at some point. The news was broken by Serafinowicz himself, who tweeted his involvement earlier today. "Got to say 'PEGI18'" is all he was prepared to let slip. Oh, and that he thinks the game looks cool, but you can always count on the English to be polite. Serafinowicz is a funny fella, but he tends to end up the heavy when it's time to hand out the acting roles. He was pretty much the same character in Shaun of the Dead as he was in Spaced - except for the whole zombie thing, of course - and my guess is, he'll be one of the tall, dark and evil brigade this time out as well. Though I'd give Assassin's Creed bonus points, if Serafinowicz gets to whallop his nemesis Nick Frost before Connor fills him full of arrows. UPDATE: it would seem that Serafinowicz is just doing marketing work, not voice acting, according to Ubisoft. 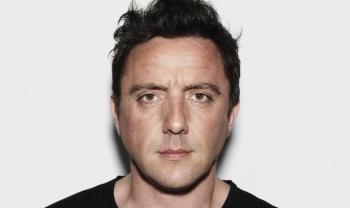 "We worked with Peter Serafinowicz to give voice to our UK advertising for Assassin's Creed 3, as his tone and gravitas were a perfect fit for the brand."